‘Moor’ badgerings, ‘hare’ we go again and spiders? The BBC reports that Ministers and the National Farmers’ Union (NFU) believe culling badgers will curb TB in cattle. Ms Truss, the Minister claimed the government’s “comprehensive strategy” was supported by leading vets. But protesters have claimed independent monitoring has been dropped and attempted to have the cull halted at the High Court. The move was rejected by judges, after which the Department for Environment, Food and Rural Affairs (Defra) said: “We have always been clear that the independent expert panel’s role was to oversee the six-week pilots in the first year of the culls only. An independent report by the expert panel into the first year of culls found that “controlled shooting” of free-running badgers could not deliver the level of culling needed to lower TB cases in cattle and was not humane. Try as we might we are unable to offer any link to any science which underpins the Minister or the NFUs ‘belief’. Having said that one might reason you don’t actually need evidence, let alone allow it to be peer reviewed to ‘believe’? What motivates Ministers? The abiding memory for many will be the u-turn on the ‘independent monitoring’ of the culls? Like so many promises made by politicians, it seems to have fallen by the wayside once the spotlight had been distracted towards other topical issues? 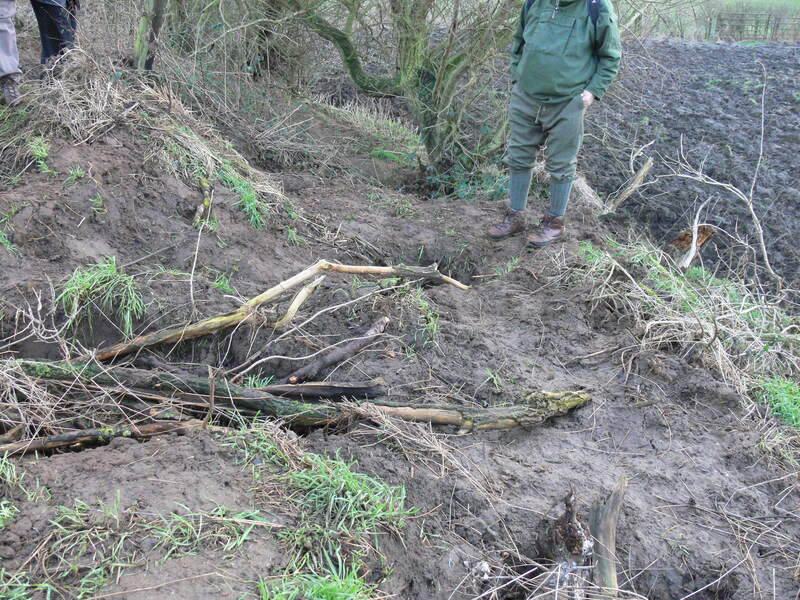 What really saddens us here in the Doncaster area, which is as far as we are aware a bTB free zone, is the systematic destruction of badger setts. Whilst it was pleasant to spend the afternoon in the field so to speak, it was far from pleasant to witness the loss of another sett in the district. The sett on agricultural land, accessed via quiet country lanes with locked barriers, was also in view of distant properties. A large sett with a number of active entrance holes had been well and truly dug. Even the hardened badger workers were quite shocked at the sheer extent of the ‘diggers’ activity. What was apparent was the length of time the ‘diggers’ would have been at the site to have dug at least seven of the holes and one of them to considerable depth. What surprised me but was readily explained by one of the group was the absence of badgers, or parts thereof! Apparently a live badger for baiting and the associated gambling is worth around £800! So, it followed that they would have carted off as many as they could. That in itself would have been a particularly interesting logistical operation and one requiring a team of strong individuals, cages and in all likelihood a vehicle. No one saw a thing? What really hit home as well, was the inhumanity that had to be inherent in the individuals engaged in such activity. The sows would either be heavily pregnant at this time of year or they would have recently given birth. If the ‘diggers’ didn’t reach a sow then the chances are such that the stress level would cause her to either abort or to kill the cubs. The loss of this group pushes the ‘Doncaster’ population to the brink of extinction. As groups are lost to areas, any remaining become isolated and weakened by inbreeding as there are no neighbouring groups to recruit from or to join. Brock an iconic mammal of the quintessential British Countryside could be lost to us in a couple of years or so in the Doncaster area if the current persecution rate continues. The other aspect which was quite noticable was the damage to the agricultural land, albeit in the main, the headland. However the digging had clearly encroached onto land which would in due course be worked by large and expensive machinery. The site had been left a mess and the landowner was left with reparation of his land to return it to a safe state, in order to work it, come time to harvest the crop. Whilst badgers might elicit mixed feelings across the spectrum of emotions, such activity is against the law and it certainly appears to constitute tresspass aggravated by possible criminal damage. Factor in the local ‘intel’ that gangs of criminals are working rural areas, it seems reasonable that there could be benefit from collaborative working? Please if anyone sees anything suspicious, then please do report it to the police via 101 or to the South Yorkshire Badger Group. Please, remember it is important to report the crime to the proper authorities as soon as possible. If calling the police (in an emergency use 999, otherwise use 101) ask to speak to a Wildlife Crime Officer (WCO) and make sure to get an Incident Report number. An excellent site which makes much useful information available is Birders Against Wildlife Crime. They have an excellent ‘motto’ Recognise, Record & Report! Similarly the Badger Trust website has regular updates on the situation and Government stance. Mountain Hares are killed in large numbers on grouse moors because they carry ticks that might affect Red Grouse numbers. The shooting industry doesn’t want Red Grouse to die of tick-borne diseases – instead they want them to die by being shot by paying customers on grouse moors. Much other wildlife is an inconvenient presence including Mountain Hares and raptors, notably Hen Harriers. This epetition asks Scottish Natural Heritage to protect this native species from persecution from the shooting industry. SNH is concerned about this issue but has only asked for voluntary restraint from grouse shooting. We struggle to recollect voluntary codes or guidelines which have worked, two examples which spring to mind and might illustrate that suggestion are the reduction of peat in growing media and MPs sorting out their own expenses? Buglife, an excellent wildlife charity, is asking for support for a tiny spider only known to live in a couple of sites in the world – one of which maybe destroyed by house building. 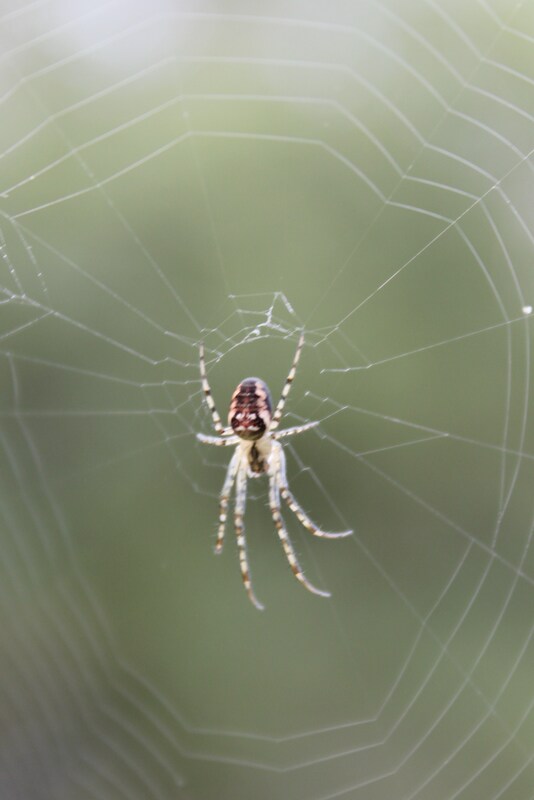 A planning enquiry starts next week so any signatures gained by this epetition will help to demonstrate public support for thisapparently insignificant spider (size isn’t everything in nature). Whilst the epetition is about a rare spider, the bigger issue appears to be that of a planning system which is in such of a ‘pickle’? Then this really is just in case …. you don’t know that there is an e-petition to ban driven grouse shooting that has stirred things up quite a bit over the last few months. It passed the 20,000 signature mark before Christmas and every further signature is valuable in the run-in to the general election campaign. Posted in Executive Secretary | Comments Off on ‘Moor’ badgerings, ‘hare’ we go again and spiders? 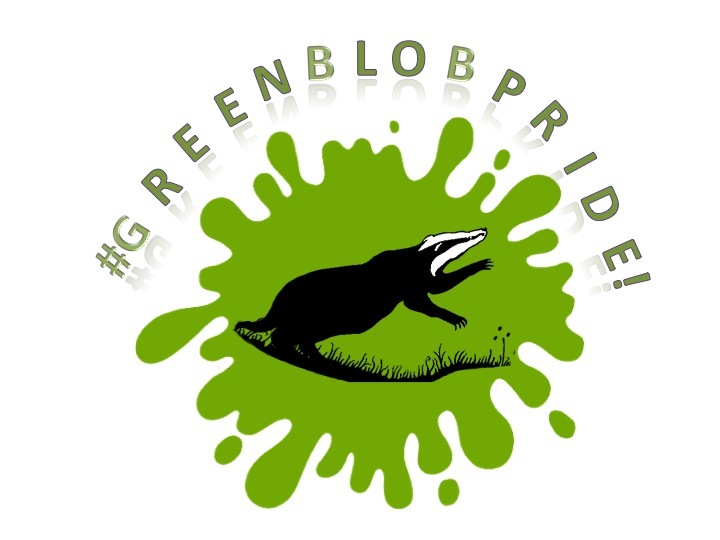 Monica Ward, Chairperson of the South Yorkshire Badger Group provides an analysis of the recent BBC Countryfile programme of Sunday 24 August 2014 in which featured a piece on the planned cull of badgers and the issue of gassing as an alternative method. 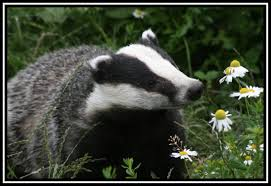 This Guest Blog Post is provided by Monica, a tenacious defender of the iconic brock, and is drawn from many years of campaigning for their protection as well as an effective solution to the controversial topic of badger culls. Although the programme on bovine TB was more balanced than in some previous programmes, there was one important statement made that was misleading. It is true that the incidence of TB in cattle was brought down to below 1,000 cases from 1951 to 1960 which was due to the introduction by the Government of the Area Eradication Plan, where cattle were tested annually and slaughtered if found to have bTB. In the programme it was stated that badgers were gassed in their setts during that time. This is not true. There was no mention of badgers having bTB until 1971, so the incidence of TB in cattle during that time was brought down by cattle based measures alone. Because the incidence of TB in cattle did not significantly drop any further, it was suggested that the reason was due to the presence of badgers re-infecting the herd and that is why the gassing badgers in their setts began. The worst area for bTB in cattle was the South West so that is where most of the gassing of badgers was carried out. Cattle continued to be tested annually until 1990 but the level of bTB remained more or less level. 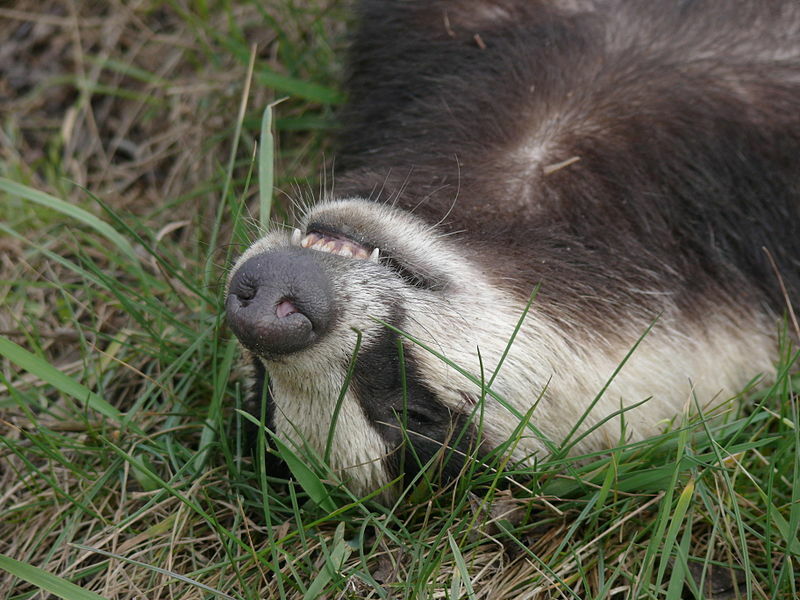 Gassing badgers certainly made little or no difference. More recently it is understood that bTB can remain in the herd after it has passed the TB tests, partly because it has not been picked up by the TB tests which are not 100% reliable. Also, at the very early stages of the disease it is not always diagnosed, and so the animal remains in the herd and the disease develops until it reaches the infectious stage, thus infecting the herd. Historically, the major mistake made was for annual testing of all cattle to be discontinued from 1990. Incidents of bTB have risen because of this and because of interruptions to testing due to such factors as vets being too busy to test cattle during the BSE crisis and Foot and Mouth epidemic. It is a sad reflection on the present situation that some farmers are reluctant or cannot afford to spend money on annual testing. Surely, Government money would be better spent on testing cattle annually rather than spending huge sums on culling badgers. One has to wonder why when the Welsh have managed around a 50% reduction in bTB incidences why Defra will not adopt and implement a similar programme? Why is it that badgers still appear to be the scapegoat for poor biosecurity? When the countryside was suffering from Foot and Mouth and the BSE crisis, livestock movement was restricted and what was the level of bTB at these times? Keep on ‘badgering’ …. DEFRA found to be acting outwith the public interest? We are pleased to be able to update readers of the latest in the long running saga of badger culling, we are grateful to the Badger Trust and South Yorkshire Badger Group for sharing this with us. On 31st July 2014 the Upper Tribunal held that it was “not persuaded” by DEFRA’s justifications for withholding key badger culling policy documents. In May 2012, the Badger Trust requested documents relating to the controversial development of the Government’s badger cull policy in 2010. Unknown to the Badger Trust, these documents related to the involvement of the National Farmers’ Union (NFU) on a secret project board set up to explore essential aspects of the Government’s policy. DEFRA refused to disclose the Risk and Issue Logs (RILs), which demonstrate the project board’s hidden assessment of the risks associated with developing a farmer-led badger cull prior to the Minister’s decision on introducing the policy. In June 2013, the Information Commissioner ordered DEFRA to disclose the RILs, finding that the public interest test favoured disclosure. DEFRA appealed to the First-tier Tribunal. The case was exceptionally transferred directly to the Upper Tribunal where it was vigorously defended by the Information Commissioner together with the Badger Trust. Following two days of evidence and submissions at the Royal Courts of Justice in London, the Tribunal indicated that it was unconvinced by any of DEFRA’s public interest arguments to justify withholding the RILs. Full judgment will be handed down in due course. There will also be a further hearing around late October 2014 to address important wider issues to clarify the legal exceptions relied on by DEFRA to keep the Board’s assessment of the risks under wraps. This places the Badger Trust at the forefront of potentially ground-breaking developments in environmental information law, which will assist other NGOs like themselves to ensure greater transparency and scrutiny of controversial environmental decision-making within Government. The moral of the story: when you know the cause is just then just keep on badgering and trust that the truth will out and become available for public scrutiny to the public who funded it in the first place. Another piece of pleasing news is that following a presentation made by SYBG, Doncaster MBC have agreed not to allow any badgers to be culled on local authority owned land, well done DMBC! Sheffield CCwere the first to declare without any prompting, decisions are still awaited from Barnsley MBC and Rotherham MBC. So any readers living in those boroughs might like to contact their local councillors and ask them to examine the science and guage the public mood for culling badgers perhaps? Warning: the clip shown through the BRAVE website here is deeply distressing but the message still needs to be sent to Cameron and the continued unscientific, inhumane and barbaric blame mongers who obstinately refuse to listen to science, rationale reason and the public. Disturbingly Paterson’s replacement Liz Truss has made it clear that she intends the cull programme to continue, a move swiftly lamented bt the oppossition. In her first session at the dispatch box 48 hours after being appointed to Cabinet explained that after speaking with Defra scientific advisers she had decided to progress with the Government’s two culling pilots this autumn …. if readers are minded to write to Ms Truss then contact details can be found here (sadly they are via the Defra gate, but critical mass can be convincing). Perhaps a timely reminder with just 273 days left to the next general election that Mr Cameron might like to receive correspondence about his ConDem environmental conservation performance …. Posted in Executive Secretary | Comments Off on Keep on ‘badgering’ …. DEFRA found to be acting outwith the public interest? Beleagured Badgers in Somerset & Gloucestershire still, but no roll out elsewhere …. At long last …. the Government, through Defra have published the Independent Expert Panel’s Report on the Pilot Badger Culls in Somerset and Gloucestershire. The Report was presented to the Secretary of State Owen Paterson in March 2014. It was apparently leaked ahead of the Parliamentary debate by the Backbench Business Committee through the Commons Select Committee on 13 March. Pro-badger cull MPs boycott vote as Government loses 219 to 1, so will those who provaricated citing the need to read the findings now act to bring the debate back to Parliament and a free vote on whether or not more public money should be wasted on an inhumane and ineffective, unscientific cull? Consider also the cost of the cull, per badger, and in times of cuts in public services – can we afford it when there are alternatives? The Panel were appointed in 2012 and despite the findings of the Panel it appears that Owen Paterson still intends to continue the two pilot culls, only this time they will not be monitored. This from a Minister who is reported to seek evidence based science. This despite the cost per animal, this despite the IEP findings that the cull was inhumane and ineffective. Perhaps a glimmer of hope on the horizon is the announcement that there is some £24.6m to be invested over the course of this parliament in the development of effective TB vaccines for both cattle and badgers. 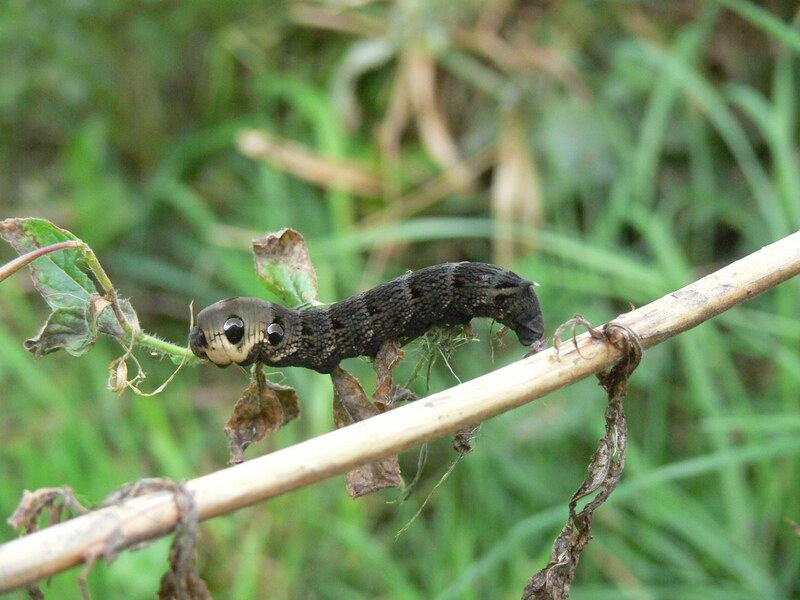 The NFU are reported to be ‘bitterley disappointed’. Surely they can appreciate the predicament that they are placing farmers who have ‘closed herds’ in, as well as those who practice good biosecurity? Perhaps it is the role of such Unions generally to represent the masses rather than promote effective best practice? This continued persecution of a much loved icon of the British countryside will not help the public perception of farmers who prefer to work with rather than persecute nature. The agricultural welfare scheme (aka CAP) is not just there to subsidise monoculture across the countryside but to fund good environmental practice, and surely it is not beyond the wit of man as a scientist to develop and achieve an effective compromise? What is perhaps aseonishing is the fact that the Minister does not deem it appropriate or necessary that there is a need for monitoring of the culls. Prof Rosie Woodroffe of the Institute of Zoology commented on that aspect: “I’m disappointed that this year’s culls will lack the independent oversight needed to provide confidence”. A case could be made that this is a Goverment lacking in evidence based policy from a Minister and Department where such scince ought to be at the forefront of decisions? Another potential negative spin off consequential of the continuing cull in Somerset and Gloucestershire, might be a drop in tourism – might the public think twice about visiting an area where its farmers do not value its wildlife? Somerset Brie is delicious, it is a quality product that deserves our support, but for me at the moment at any rate there is a principle based on sound science and at the moment the Minister appears rather muddled? bTB can be devastating, no one doubts that and there is understanding and sympathy for farmers who have lost herds to the disease. Generations of breeding over years whiped out in an instant. Together, a collaborative coalition can achieve compromise, but continued culling is only likely to cause more problems than it resolves? Posted in Executive Secretary | Comments Off on Beleagured Badgers in Somerset & Gloucestershire still, but no roll out elsewhere …. being given to members of the Yorkshire Mammal Group by Dr Graham Smith of FERA. The meeting is, ironically, being held on Tuesday 1st April at 7pm at the Black Swan Pub, 23 Peasholme Green, York. For more information contact the YMG.